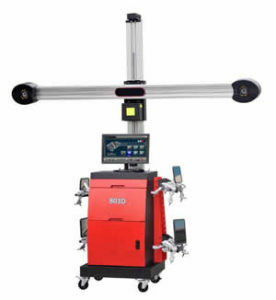 CE certification, Patents, Intellectual Property Rights of software, HD Camera, Small Target, USB Interface, FPGA Technology, Temperature Compensation, Intuitive , 3D dynamic simulation, Real-time Measuring, Less demand to lift level, high precision and quality, Need not Wheel Compensation. 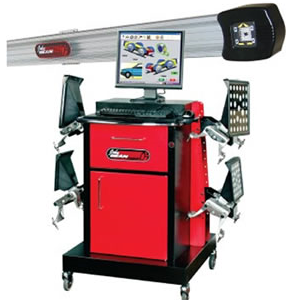 Combined with 4 small target, 2 HD cameras 3D system provides the most economic and accurate four-wheel alignment. Camera constantly takes pictures from the four target plates and do precise calculation, the measurement data immediately shown. Camera calibration has been done in the factory. The camera is fixed on the beam and no need to adjust. Power supply,110V~220V AC,50/60Hz Toe,+20°~-20° (±1′). Camber,+10°~-10° (±2′). Caster,+20°~-20° (±3′). KPI, +20°~-20° (±3′). Set back,+5°~-5° (±2′). MAX Steering angle,+60°~-60° (±0.1°). Turntables,2PCS. 2PCS Wedge Block . Luxury cabinet 1PC, Update,online freely. Warranty: one year. 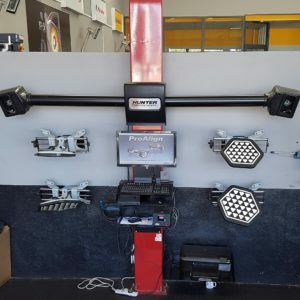 OEM services provided.